The Medicinal Chemist Jobs list (curated by Joel Walker and myself) has 309 positions. Over at Common Organic Chemistry, there's 19 new positions for February 24 and 17 new positions posted for February 22. The Analytical Chemistry Jobs List has 15 positions; this is curated by the ACS Division of Analytical Chemistry. Want to help out? Fill out this form. The Process Chemistry Jobs List has 283 positions. Marshall Brennan is a long-time denizen of the chemblogosphere. He’s written many years at Colorblind Chemistry. After his postdoctoral position, he’s taken on editor positions at Nature Chemistry and now he is the founding publishing manager of ChemRxiv, the ACS/RSC/GDCh open-access preprint server. He’s a tireless advocate of preprints for chemistry on Twitter. Marshall believes that, as of late, the #altchemjobs tag has become a bit of a joke on Twitter. He believes it is rude, and dismissive of non-laboratory jobs. He also believes that we overly focus on what is the central "thing" and bucket the rest of these things as "alternatives." He dislikes the overall feeling in graduate school that you can 1) get a research track job (industry, academia or government or 2) "something else." He notes that many people feel that there is some level of stigma or shame associated with expressing interest in non-research jobs during graduate school, citing the many messages he gets where people will privately express their interest to leave the laboratory (as he has), but are unwilling to express this to their advisers. So, as with many blog posts about conflict, I’m going to start with an apology: as the main poster of the #chemjobs and #altchemjobs tag, I hadn’t noticed that that the #altchemjobs tag had become increasingly jokey and outré. For that, I apologize to Marshall and the undoubted many people on Twitter who were offended/put off by this. I am sorry. I am also going to indulge myself in some definitional discussion, which I am very fond of. I find this statement by Marshall worth examination: “I have an “altchemjob” that I feel makes very good use of my chemistry background and has a measurable impact on chemistry research.” As a main arbiter of what is and isn’t in #chemjobs tag or the #altchemjobs tag, I am not sure I agree with Marshall’s characterization. I can see both sides: he works for the American Chemical Society, which is the professional society for chemists. In that regard, Marshall is part of the “chemical enterprise” (another frustratingly vague term that the American Chemical Society is fond of). But what is the “chemical enterprise”? Marshall works for ACS Publications (I think), and they are a publishing house and (to throw out one definition) they are not part of the chemical manufacturing subsector (NAICS 325). Then again, neither are professors (NAICS code 611310 - Colleges, Universities, and Professional Schools.) If chemistry professors aren’t part of the “chemical enterprise”, then no one is. I would like to put all of this definitional folderol aside and just settle on numbers. As I never, ever tire of reminding people who meet me in person, you can look at the Census Bureau’s 2012 study of those who have gotten a science and engineering degree and discover one true fact: the majority of people in the United States who have physical science undergraduate degrees do not work as physical scientists. In other words, most of the people who have a chemistry degree do not work as chemists. As the (few) people who have heard me speak in person on this topic have heard me say: this is not good or bad, it just is. It’s not what should be, or what ought to be, it is what IS. One more time: to the best of my interpretative ability, I believe the Census Bureau has determined that most of the people in the United States who have gotten a chemistry B.A. or B.S. do not work as chemists. If that’s the case, this should free people from any burden that they are doing something not normal by not working in the laboratory. However, we have no idea if this is true for those who hold master’s or doctoral degrees in chemistry. In fact, this is one of the most frustrating aspects of my discussions with people, including my dear friend and debating partner Lisa Balbes. How many chemists leave the lab? I have no idea. When do they do it? Don't know. Is it growing? Don’t know. Are more people going straight from graduate school into non-research careers? Don’t know. (Probably?) Are careers in laboratory chemistry getting longer or shorter? Don’t know. What is normal for Ph.D. chemists? Don’t know. What is abnormal for chemists in terms of careers? Don’t know. We just don't have the data. So here’s my perspective: I don’t talk about my work much and what I do, but suffice it to say I work at a chemical manufacturer. What many people don’t know is that I too have transitioned out of the laboratory to a position that I charitably describe as “chemistry-adjacent.” Because I actually work at a plant (which is a relative minority of the chemical enterprise by employment), I have never forgotten who pays the bills: the chemists who invent the molecules, scale them up safely and economically, and the chemical operators who manufacture the products. No chemists, no product. No product, no money. Laboratory chemists are central to the central science. If laboratory chemists do not produce the new products and new knowledge they do, Marshall doesn’t have a job and neither do I. All those alternative/non-traditional/non-research/non-laboratory jobs that we like to highlight? No lab chemists? No fancy IP lawyers. No smelly greasy lab coat wearing goob? No EHS consultants. No pedantic research fellow? No business development BMWs. That’s why laboratory chemists are special to the chemical enterprise, and that’s why they are celebrated as “the main thing” and that’s why they should be. So here’s what I’m going to do: As Marshall has noted, the #altchemjobs tag has gotten dismissive and jokey (honestly, neglected), and because of that, I’m going to increase my posts on the tag, with the non-research/non-laboratory posts that I hope he and others will find appropriately respectful and worthwhile. I’m glad he’s started this conversation, and I hope it continues. For more information please see http://research.unc.edu/offices/postdoctoral-affairs/postdocs/. Underrepresented groups are especially encouraged to apply. Don't forget to read Marshall Brennan's thoughts on alternative jobs in chemistry. My response will be up on Wednesday morning. The 2019 Chemistry Faculty Jobs List (curated by Andrew Spaeth and myself) has 568 positions. On February 27, 2018, the 2018 Chemistry Faculty Jobs List had 521 positions. Want to chat? Here's a link to the current open thread. The current open thread will end on March 1. 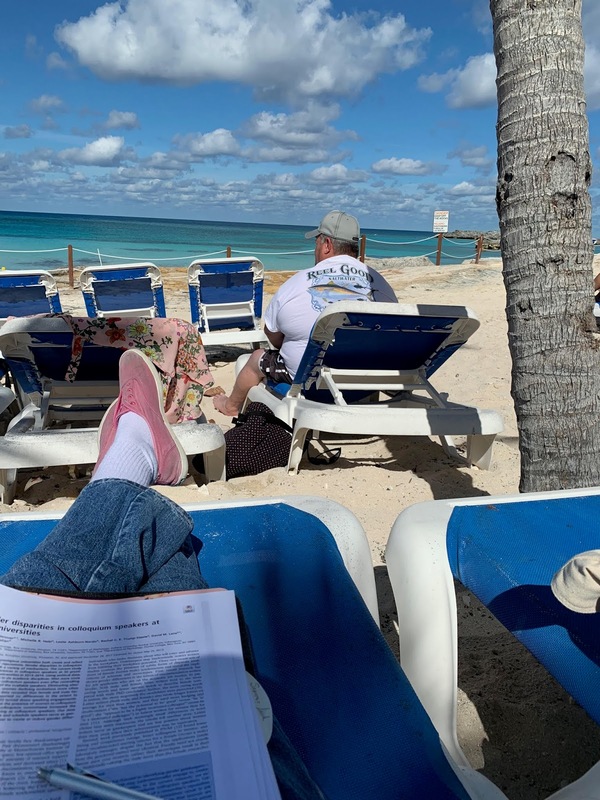 I have given many career panel talks, Q&As, jobs seminars, etc as both an editor and preprint business lead, and usually the reason people want to hear from me is to learn how to break the news to their colleagues that they want to pursue something outside of research. They have the same concerns about being shunned by their peers, that their advisor will think less of them, or that going down such a path is akin to chemistry seppuku. Call me crazy, but I think that a student should pursue a career that excites them, that they’re passionate about, and that can help them maintain a life (both personal and professional) that they’re satisfied with. None of those criteria require you to take your PhD to a laboratory, and I think that anyone who is trained as a chemist is a chemist as long as they choose to identify that way. I'm looking forward to responding to this on Wednesday morning. Read the whole thing. I haven't followed this case closely enough to intelligently comment on it. I suppose all I can say is that it seems pretty unusual for a professor to press forward with revocation of a Ph.D. thesis - can anyone else point to another instance where this was the course of action decided upon? The Program Coordinator for the Institute of Diversity Sciences and the Center for Autonomous Chemistry organizes and supports all programmatic activities related to the Institute of Diversity Sciences (IDS) and the Center for Autonomous Chemistry (CAC) at UMass Amherst. This position will manage the scheduling and logistics of research meetings, be responsible for annual reports and evaluations, oversee the IDS and CAC budgets, manage the seed grant application process for IDS, serve as liaison between IDS/CAC and their respective stakeholders on and off campus, keep records of IDS and CAC activities, and assist with communication strategies (website and social media development and maintenance). CAC leadership notes that applications from scientists are welcomed. Full ad here. Best wishes to those interested. Sustainable Nano on Valentine's Day and M&Ms. you millions thousands hundreds tens of dollars joy and happiness. Send me a link to your post, and I'd be happy to put it up. 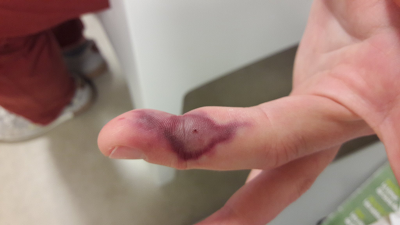 It got purple immediately then necrosis. Heat in the finger and nerve affected. Got surgery within 2 hr in ER. Self skin graft from his arm. 3 month recover. Quite ok now. That was a huge shock for me. This is really to alert everyone about simply injecting DCM in a flask which turned in almost losing a finger if surgery was done too late. Surgeon had to remove dead flesh and self-graft was needed to reconstruct. Nerve was 90% damaged and regeneration was slow but nearly 70% ok now after 8 months. Painkillers did not help after 10 days and lots of rough night for him. Well, I consider myself warned. Be careful out there. The Medicinal Chemist Jobs list (curated by Joel Walker and myself) has 305 positions. Over at Common Organic Chemistry, there's 14 new positions for February 18 and 5 new positions posted for February 14. The Process Chemistry Jobs List has 277 positions. 2. Failure to have the procedures and processes necessary to ensure the API manufactured at your facility meet established specifications for quality and purity. You do not have a procedure to control the issuance, usage, and reconciliation of batch manufacturing records (BMRs). Your production personnel record manufacturing activities in personal notebooks or on draft BMRs. Production managers then transcribe the data onto another BMR, which is then circulated to the production operators and supervisors for their signatures. Production management stated that drafts are incinerated in a wood burner. Your firm’s representative asked our investigator why such a practice was problematic. Have you tried sourcing a good shredder? They're expensive! Education Requirement: PhD or MS in Chemistry or Chemical Engineering or related field. Skills: Analytical chemistry, Chemical/Process Engineering, Electrical/Computer Engineering, Prototyping, Systems Analysis, Controls, Computer Programming, Mass Transport. Job Description: Nephron Technologies is a seed-stage startup company focused on revolutionizing dialysis technology. We are searching for a Principal Investigator to lead our proof-of-concept operations, contingent on award of an NIH SBIR Phase I grant. The term of employment begins as soon as the grant is awarded. If we are successful with the Phase I grant, which covers six months of work, we will apply for a Phase II grant, which covers an additional year of work. We will then seek other sources of funding to continue our efforts. Because this is a startup company, we cannot guarantee that this will be a stable source of employment. We can only employ you if we are successful with grants. Compensation will include equity in the company in addition to a salary. Your work will include designing and testing a benchtop dialysis device. We will collect data, write reports, and plan experiments. There may be an opportunity for publications. Because you will be a technical leader on the project, there is an opportunity to become an executive officer depending on how long you want to stay! Please email me only if you meet the requirements above, and you are seeking a fast-paced, high-risk, high-reward position like this. Unfortunately, we cannot support relocation. Thanks to this article, I learned that the FBI's chief bomb expert has a Ph.D. in inorganic chemistry from Cornell. Some d00d yapping about his wife. The 2019 Chemistry Faculty Jobs List (curated by Andrew Spaeth and myself) has 562 positions. On February 20, 2018, the 2018 Chemistry Faculty Jobs List had 514 positions. It began on the third floor of BMS late on Sunday afternoon when a routine post-experiment wash-up went wrong. Colleagues followed safety procedures to the letter – a fire blanket was used immediately to try to extinguish the first flames in room 305, and when that failed they raised the alarm and evacuated. Be careful out there, folks. 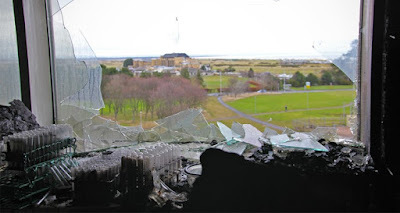 Glad to hear that everyone at St. Andrews is safe. 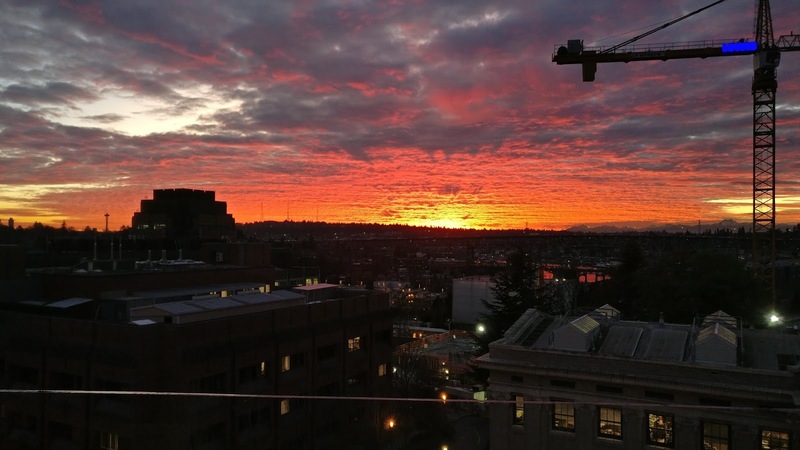 Via a reader Indrek Kalvet: "The otherwise gorgeous view from our lab looking over the Seattle skyline and the Olympic mountains got a serious upgrade by this beautiful sunset." The Medicinal Chemist Jobs list (curated by Joel Walker and myself) has 298 positions. Over at Common Organic Chemistry, there's 19 new positions posted for February 4. The Analytical Chemistry Jobs List has 14 positions; this is curated by the ACS Division of Analytical Chemistry. Want to help out? Fill out this form. The Process Chemistry Jobs List has 274 positions. For [redacted] batches of [redacted], your sales manager was provided with test results from your contract laboratory that were out of specification [redacted] for [redacted] assay. The batches were distributed without the quality unit’s review of the failing test results. A batch of [redacted] (Lot [redacted]) was released by your quality unit on August 3, 2017, and was shipped on August 7, 2017, before your firm received the results of assay testing. In your response, you provided an updated standard operating procedure and the associated training records concerning the release of OTC drug products with inadequate quality oversight. However, your response is inadequate because you have not determined the root cause of this violation. Eh, the assay probably would have shown the material to be in spec anyway... ship it! 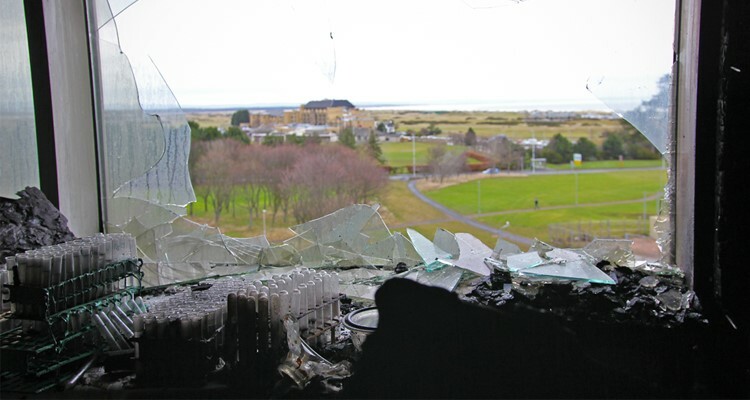 Serious fire at St. Andrews' University in Scotland. This story of a reprimanded professor at the University of Minnesota's medical school is quite remarkable. The 2019 Chemistry Faculty Jobs List (curated by Andrew Spaeth and myself) has 559 positions. On February 13, 2018, the 2018 Chemistry Faculty Jobs List had 511 positions. A postdoctoral position will be opening in the Korendovych lab at Syracuse University, subject to final approval by HR. The lab’s major foci include designing self-assembling peptides for catalysis (e.g. Nat. Chem. 2014, 303; ACIE 2016, 9017 and ACS Cat. 2018, 59) and minimalist design and directed evolution of protein catalysts (e.g. JACS 2015, 14905; ACIE 2013, 6246, Nat. Commun. 2017, 14876). Experience in peptide synthesis and characterization, familiarity with spectroscopy, biophysical characterization techniques, recombinant protein expression and ability to handle air sensitive samples are desirable. Most importantly, the Korendovych lab is looking for an energetic, motivated, critically thinking individual. Interested candidates should contact me directly at ikorendo@syr.edu. The comment section is unusually active there.